I've probably said it before, and as I approach my 500th article for Now Smell This, I'll probably forget and say it again: if I had to limit myself to one perfume house for my fragrance 'needs,' Hermès would win. No other brand, including Guerlain, Chanel, L'Artisan Parfumeur, Frédéric Malle...or Serge Lutens!...gets so much of my business. Hermès, under perfumer Jean-Claude Ellena, has done a great job with flankers, too: Bel Ami Vétiver and Rose Amazone come to mind (Jean-Claude...where's my Eau d'Hermès Mimosa? I've asked that you create this SEVERAL TIMES!) Ellena is responsible for Equipage Géranium, a new take on 1970's Equipage (a Guy Robert creation). Back in the day, I was an Equipage fanatic, and right now I possess a vintage bottle of the perfume. Monsieur Equipage Géranium Ellena smells a lot like Equipage Robert, but Equipage Géranium is leaner and cleaner, a crisp salad version of the plumper, hairier, indulgent original Equipage (which smells like an Eau de Parfum next to Equipage Géranium). When I first wore Equipage Géranium I was impressed by its shared characteristics with its relative; when I wore the perfumes side by side I could barely smell Equipage Géranium...original Equipage was too strong a personality to share body space/air time with the newcomer. Equipage Géranium removes Equipage's warm and "fatty" incense-y woods/resins and flowers (carnation, lily of the valley) and replaces them with soft, but cool, rose geranium leaves, sheer spices and mint. The heavier woods, tonka bean and hay-tobacco-immortelle-like accord of original Equipage is deleted in favor of a cologne-like (almost soapy) sandalwood and "nutty" musk base. 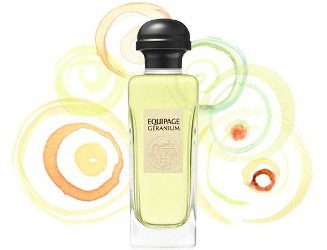 I liked Equipage Géranium more — before I wore it at the same time as original Equipage. If original Equipage is just too "mature" or heavy or retro for your tastes, try Equipage Géranium; and if you are a lover of original Equipage, give the newbie a shot. Me? I like Equipage Géranium just fine and if original Equipage had disappeared, I would celebrate Equipage Géranium's arrival, but when I need Equipage again, I'll stick with Monsieur Equipage Robert (even reformulated, it's more interesting — and more my style — than Equipage Géranium). Hermès Equipage Géranium has decent lasting power and so-so sillage; it's available now in 100 ml Eau de Toilette for $129. Great review, Kevin! Original Equipage is a bit masculine for me, so I’m looking forward to trying Equipage Geranium. I’m liking the Neroli Dore cologne (which Robin reviewed positively) enough to want a nomad spray when that’s available. Noz…good to know, haven’t been able to try that one yet! It’s light – you’d need the 200-ml bottle, Kevin. Kevin, I too love the original Equipage, and I also love Bel Ami and and Rocabar as well. Nothing after the three originals for men have garnered much of any interest from me. I was in Hermes picking up a different color watchstrap for my Cape Cod and the fragrance sales associate was kind enough to make me a sample of the entire Hermessence line. Some were quite nice, nothing nice enough for that price when there are so many other lines that I love out there. I am afraid that I am very dated in my love of the Hermes “originals” so no need presently to add any new additions from Hermes to my collection. Lindeberg…wow, you had a great SA!!!! I’ve never been offered even a single sample at Hermes…only at department stores like Nordstrom that house Hermes boutiques. The DC Hermes Boutique gave each us a sample. We only bought one nomad set, probably the least expensive thing they sell? I’ve actually been able to call my closest Hermes store (admittedly it wasn’t very close, which helped my case) but they mailed me several of the Hermessence 4ml samples for free! The customer service seemed unparalleled! Sun mi…we’ll blame it on the lack of sunshine in Seattle then…. Hehe, it was so sunny yesterday! And today isn’t too bad either… I’m in WA visiting my parents right now – any good perfume shops in Seattle/Tacoma I can visit while I’m here?? Sun mi…Parfumerie Nasreen is nice in downtown Seattle…Essenza in Fremont. Super review Kevin. Thanks. I love Hermes and Jean-Claude Ellena creations because they always feel very human in scale . I don’t mean human as in wearable but more that the perfume bypasses the grand mythical, classical or religious scale of houses like Chanel or Guerlain (where the wearer almost bows down under the ‘weight’ of the scent, in the way you might feel dwarfed by the Sistine Chapel or Chartres Cathedral). Hermes somehow encompasses fallibility and human fraility, strength and vulnerability. 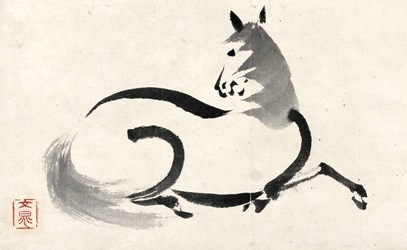 Even in the way the perfumes don’t stick around and capture the wearer but drift away. I would love to try this flanker. I think that the next time I travel abroad I will have to spend half a day in a Hermes shop. Kanuka: you’re welcome! And Hermes will get even more of my business thanks to the great bath line! HA! I also love Hermes, and am now looking forward to trying both the original and the flanker. Thanks for the review! Missionista: you’re welcome…and hope you enjoy them. Nice review! Hermes is also one of my favorite lines. I went to the Hermes Parfumerie in downtown NYC with a bunch of NSTers (ihadanidea and LizzieB) and another perfume friend. While I was busy fulfilling the splits (ha! It felt good to say I want 4 of those, 2 of those, etc), I must have missed smelling this one! Missing it means I have to visit a boutique or Bergdorfs again :-). The parfumerie downtown was smallish but very well appointed and has a wall of bath and body products, including a working sink and plush towels to dry ones hands (God forbid Muffy has to use PAPER towels). Hajusuuri…INDEED!!! Paper is waaaaaay too abrasive! Did you try any of the bath gels? Besides Voyage d’Hermes which failed my shower gel test, I’ve only tried Eau de Gentiane Blanc. The jury is still out on this one but I have a sample to try it again. Hajusuuri…SAMPLES again! I asked if there were samples of the bath line and was told a firm “no.” Ha! I CAN recommend the soaps. It helped that I spent $700+ fulfilling the splits :-). I’ll have to look into the soaps eventhough I probably have a lifetime’s worth of soaps already!